Dubai: Google launched its innovation challenge for the region yesterday. This means news organizations of every size, as well as news startups and associations in the Middle East and Africa can submit digital project proposals for funding. This initiative was announced at Google’s event for news publishers in Dubai, where regional and global executives presented the latest products and tools for publishers and journalists across revenue generation, Google News, Google Search, YouTube and Cloud Machine Learning. The Google News Initiative (GNI) Innovation Challenge theme focuses on increasing reader engagement and/or explore new business models, such as personalisation, analytics, audio and voice applications, subscription, membership and loyalty programs. 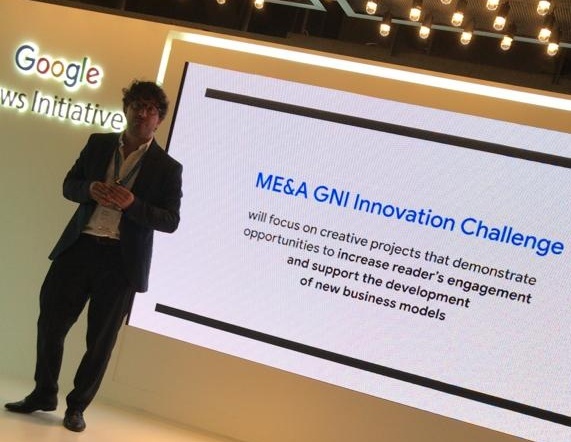 Ludovic Blecher, Head of the Google News Initiative Innovation said that they were excited to bring the GNI Challenge to the Middle East and Africa. A panel will evaluate the submissions and fund selected projects up to $150k per project, and up to 70 per cent of the total project cost. The funding will be reviewed against several criteria, including a “knowledge sharing component”, for example, a project proposal can include publishing findings or holding a public seminar to encourage applicants to share the knowledge and learnings with others. The application window for project submissions will open in June. More information on eligibility, rules and criteria, and funding will be published on the Google News Initiative website in May. Is Apple launching a Netflix rival?